Staying true to your style while progressing and remaining relevant is one of the most difficult things you can achieve as an artist. If you don’t adapt and grow you’ll date yourself but if you change too quickly or drastically you’ll alienate fans. How do you find the perfect medium? Be Armin van Buuren. 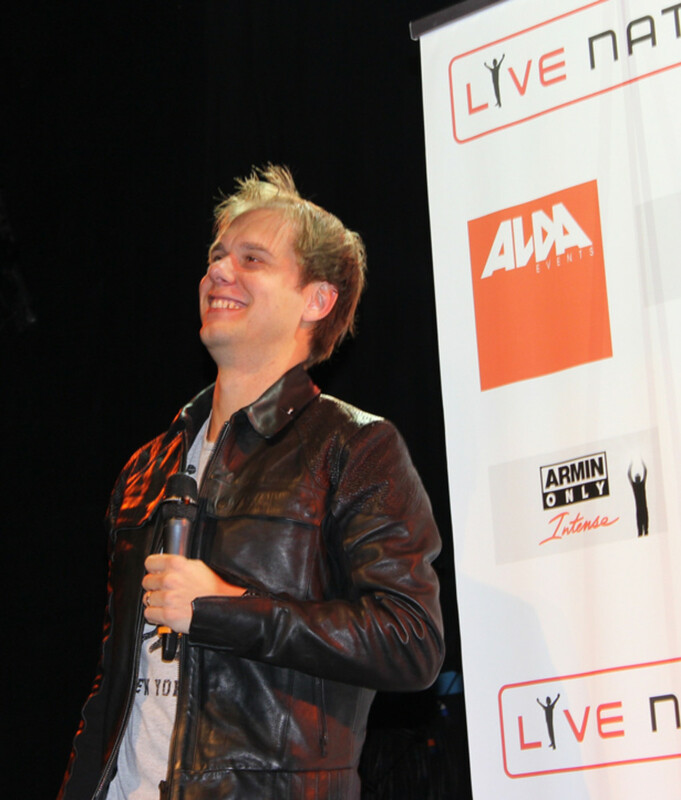 Over the course of the past 20 years, Armin van Buuren has become a household name in trance music and EDM culture. 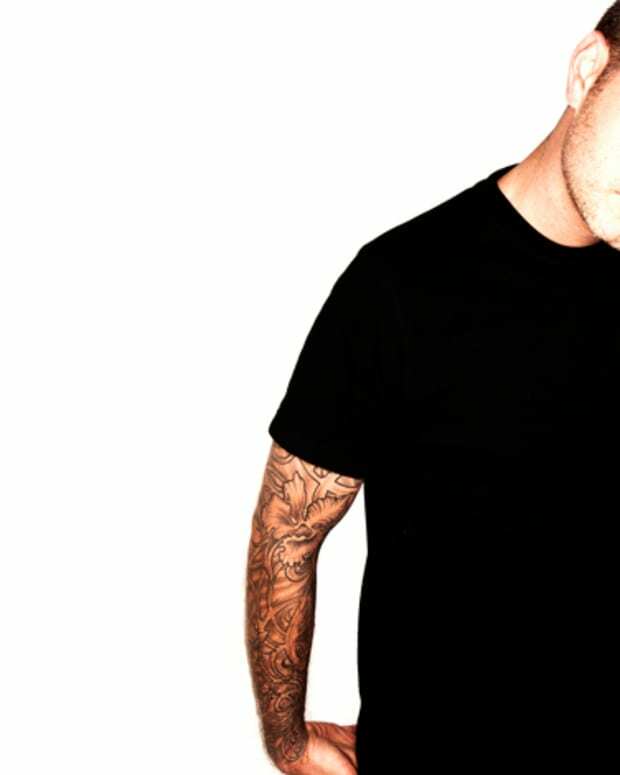 “A State of Trance” has gained a following of more that 20 million listeners and van Buuren has been voted the world’s number one DJ an unprecedented five times by DJ Mag. Now, with his recent Grammy nod, you would think he wouldn’t want to change a thing, right? Wrong. “You know, probably the most easy thing for me to do in my career right now is to travel the world with a little USB stick, play all the main stages and look good right? That would be easy. And I still love doing that don’t worry. This doesn’t mean I’m not going to play the big festivals anymore. But this is like Christmas dinner with Armin van Buuren,” he stated at the House of Blues in the heart of Hollywood this past Monday. When he says “this,” he’s referring to is an experience called “Armin Only: Intense.” After over a year of preparation and collaboration with a team of Dutch audio and visual experts spearheaded by theatre director Jos Thie, van Buuren has put together his dream. Five hours. All Armin. The biggest DJ stage in the world. An acrobat team. Six singers. A full live band (led by his brother, accomplished songwriter and guitarist Allur van Buuren). Dancers. Penetrating audio visual effects. Get the picture? It’s going to be epic. 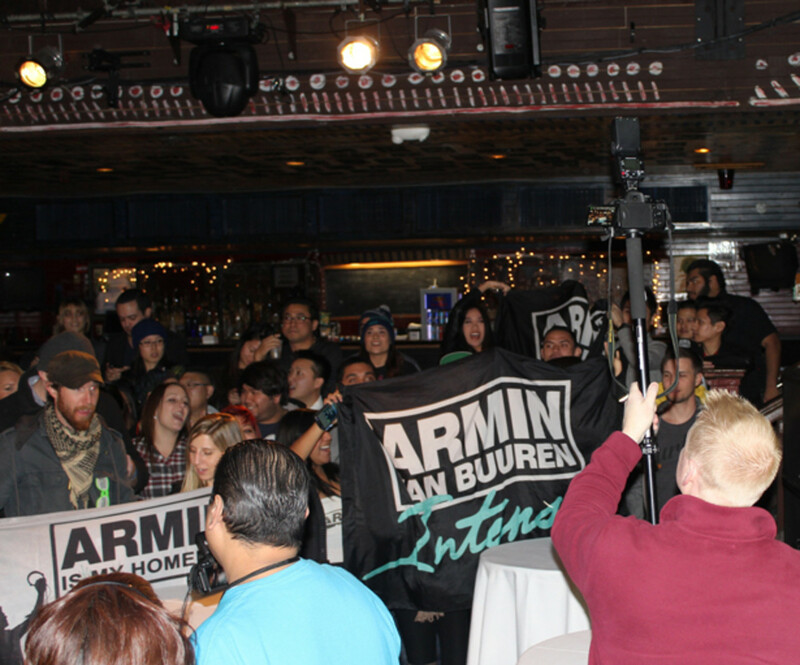 However, although there is heavy production value, “Armin Only: Intense” attendees will still be attending a DJ set where the music is the centerpiece. “It will not be a Cirque de Soleil performance,” he assures. Touring with about 30 people, van Buuren makes it clear that, despite the extensive live and rehearsed entertainment components, he will still be free-styling as he always does, avoiding a prerecorded set. The show premiered in Amsterdam in mid November and will touch down on American soil in New York on April 11th in New York City. All one has to do is check out the “Armin Only: Intense” trailer at www.ArminOnly.com and it will become a priority to make it to one of the four (as of now) US dates, concluding in Los Angeles at the Forum on May 9th. 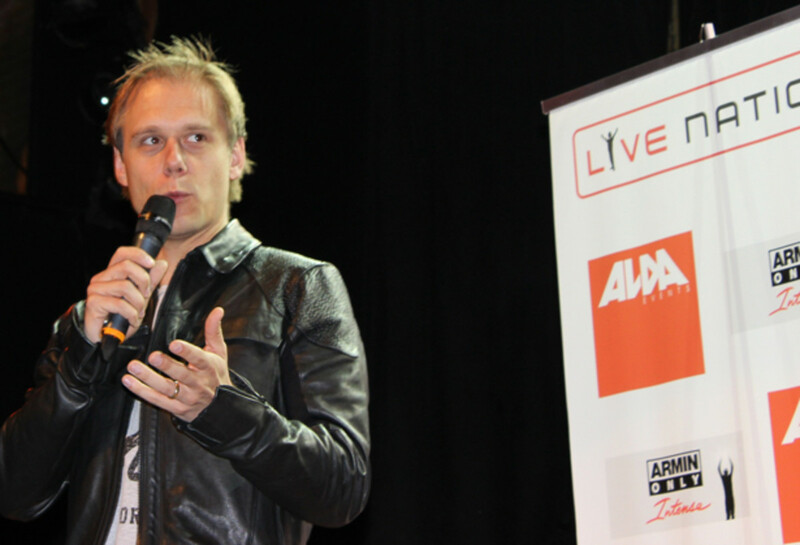 Seeing as he was in Hollywood, van Buuren also touched on a future ambition of his; writing the score for a motion picture. A schedule that will likely get busier with his 2014 Grammy nomination for “This is What it Feels Like” featuring Trevor Guthrie. Also a schedule very much dictated by the needs of his fans. As his personal success builds and EDM moves towards the masses, van Buuren is quick to point out the positive effects of an expanding music genre that still plants it’s feet firmly in the underground. Regardless of what the future holds, between ASOT, the “Armin Only: Intense” tour and various festivals, Armin van Buuren fans have plenty to look forward to in the months and years ahead. And whether it’s playing an arena, festival or producing new tracks, you can be rest assured that whatever the performance or creation is, it will be the result of his passion for the music.